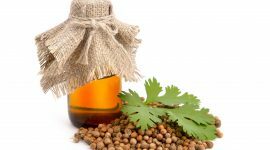 Coriander oil is obtained from seeds of Coriandrum sativum. It is a plant commonly cultivated in all the World’s corners. It is quite popular because of its healing properties, known since the Ancient times. The herb was used mostly for curing diseases of gastrointestinal system. What is more, it improves absorption of vitamins (including vitamin D), regulates cholesterol concentration and level of sugar in blood, lowers the pressure, minimises consequences of old age diseases, removes toxins and heavy metals from the organism. Its favourable impact on the human organism is related also to the substances in its composition, among many: antioxidants, vitamins, minerals and fatty acids. 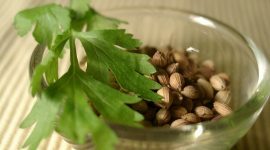 As it turns out, the coriander oil has beneficial influence also on hair and scalp. How should you apply coriander oil? In health food store or Internet shops can be purchased cosmetics with content of coriander oil. This valuable product can be made also at home, especially if in the garden or on the balcony you have your own coriander. You just have to boil crushed herbs or pour on them some olive oil. The cosmetic store in the bottle made of dark glass, away from the source of light and humidity – this way oil preserves its properties and all nourishing ingredients for longer. And how should you apply coriander oil? Before each application, heat up the oil to make it more plastic. It will make application on hair easier and active substances will absorb faster in the scalp. After approximately 30 minutes, rinse coriander oil and wash hair with delicate shampoo without SLS. Women who never used this cosmetic, but suffer from excess hair loss, should make acquaintances with it right away. Why? 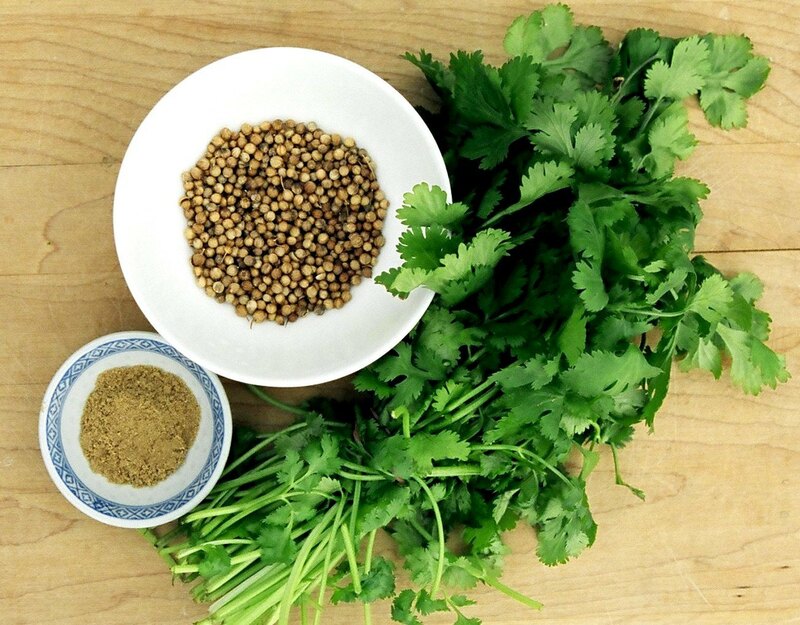 Coriander oil enhances hair growth, strengthens hair bulbs and helps with dandruff. It has antiseptic, bactericidal and calming properties. It boosts blood circulation and at the same time delivers nourishing ingredients to follicles and hair bulbs. On top of that, it prevents hair loss and proliferation of germs responsible for some of the scalp diseases. Similar effects has scalp massage with coriander oil, which additionally ensures relaxation.